Wednesday’s deadline to extend Harden or allow him to become a restricted free agent next July had been hanging over the Thunder from the moment they reported to training camp, but sources told ESPN.com’s Marc Stein late Saturday the Rockets intend to sign the swingman to the max contract extension he was seeking before Wednesday’s midnight deadline. The Thunder offered Harden $55.5 million over four years — $4.5 million less than the max deal Harden coveted and will get from the Rockets, sources told ESPN The Magazine’s Chris Broussard. “We wanted to sign James to an extension, but at the end of the day, these situations have to work for all those involved. Our ownership group again showed their commitment to the organization with several significant offers,” Thunder general manager Sam Presti said in a statement. The small-market Thunder had already signed Kevin Durant, Russell Westbrook and Serge Ibakato long-term deals, and apparently realized Harden was going to want a bigger salary than they would offer. Harden averaged 16.8 points and 3.7 assists last season, and joined Durant and Westbrook on the U.S. men’s Olympic team. He struggled badly in Oklahoma City’s loss to Miami in the NBA Finals, but the Thunder felt good about their chances of getting back there with another year of experience for their young stars, all 24 or younger. The Thunder got back a good scorer in Martin, who has averaged 18.4 points in his eight NBA seasons, and a promising young player in Lamb, the No. 12 pick in the draft who helped Connecticut win the 2011 NCAA championship. He led Houston’s summer league team in scoring with 20 points per game. 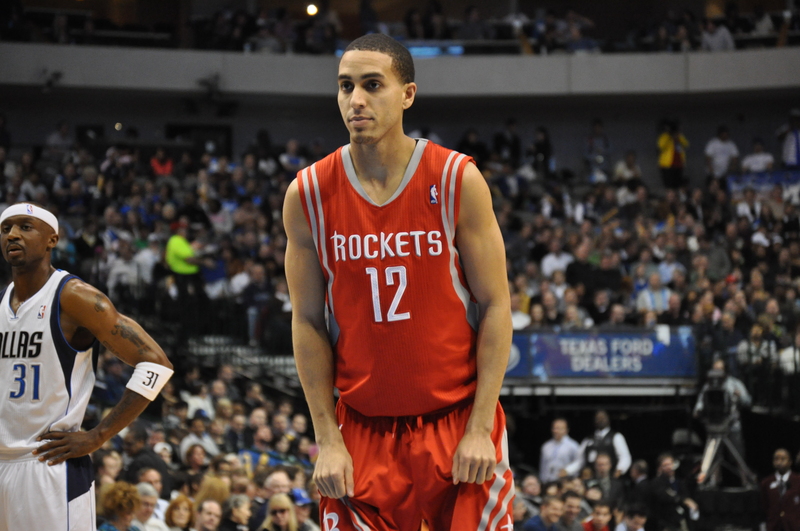 “While I never like having to send out quality players like Kevin Martin and Jeremy Lamb, this trade gives us a chance to make an immediate impact on the future of our franchise moving forward,” Rockets owner Leslie Alexander said. Houston collected draft picks while it was making a flurry of deals, part of a package to offer Orlando for Howard. The Rockets traded point guard Kyle Lowry to Toronto for a lottery-protected first-round pick, one of Oklahoma City’s acquisitions on Saturday night. 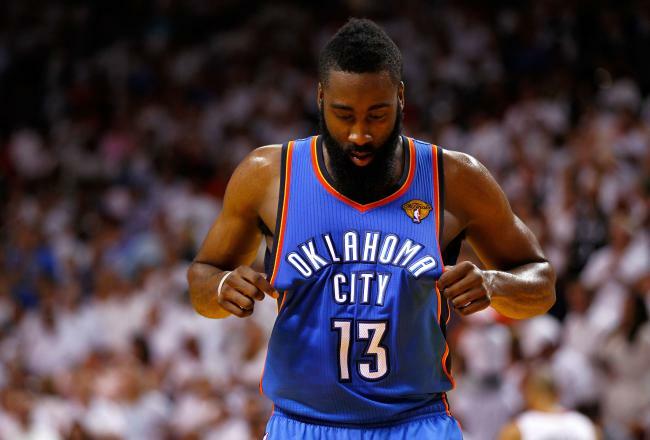 Posted in Breaking News, NEWS, SportsTagged Breaking news, Hypealertmedia, James Harden, James Harden Traded to houston, James Harden traded to Rockets, Nba news, Nba trade, OKC trade James HardenBookmark the permalink.